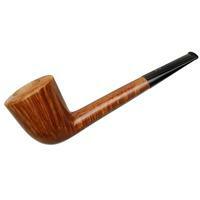 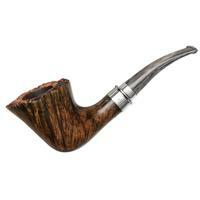 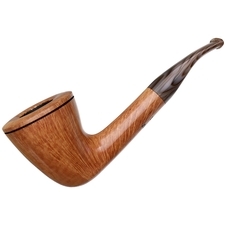 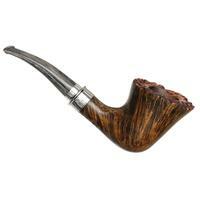 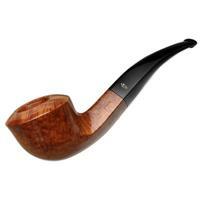 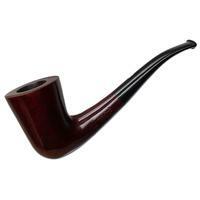 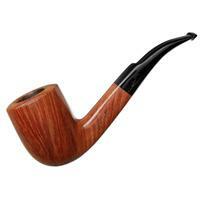 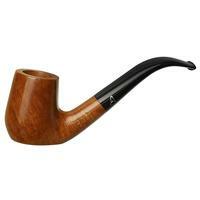 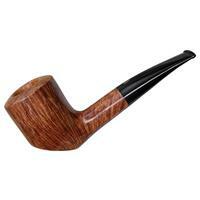 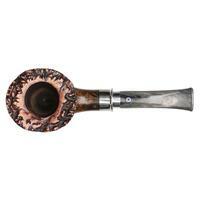 An easy, languid bend juxtaposes against a firm heel in this hearty Zulu-esque bent Dublin from Ardor. 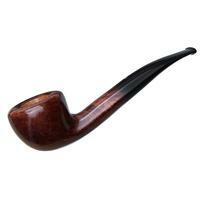 With plenty of chamber, the bowl flares generously toward the plateau-crowned rim, underneath which lies a fetching array of flame grain. 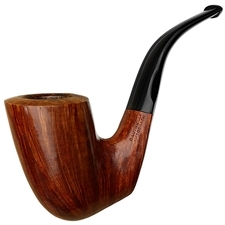 The vivid contrast stain is, then, matched by sterling silver fitments at the shank-end and stem base, transitioning well into the silvery acrylic stem.